WPQREK - Things that I made! 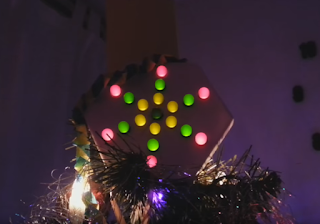 : Christmas Star Ornament made using Arduino and WS2812b Strips. 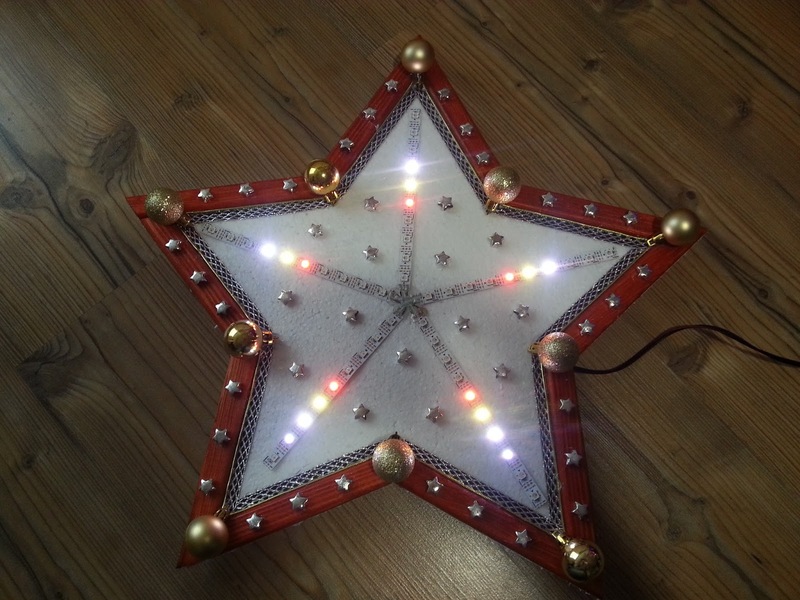 Fifteen years ago I build DIY Christmas Star Ornament using 4060, LEDs and simple square wave generator based on 4011. Below you can find photo of it. Last year I made 3D printed case for it to look even more attractive. Today I build different version of it using Arduino and WS2812b Strips. Of course it is too big to put it on Christmas Tree but will work well for house decoration. 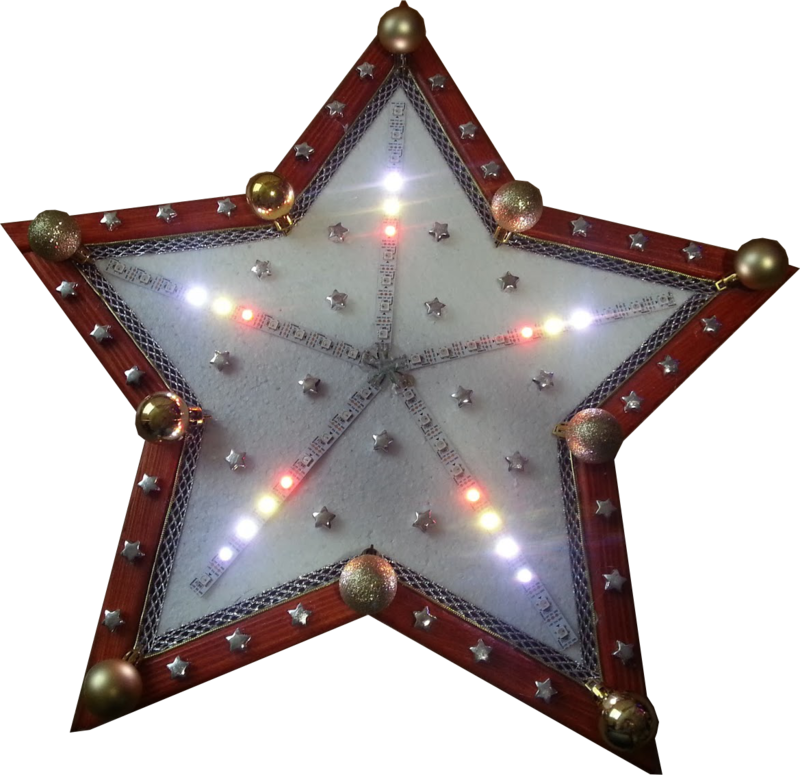 I get star template from internet, scale it up and transfer it to the thick flat Styrofoam coffer ceiling tile. I made border using masking wooden strips. I cut them step by step going around the star. I painted wooden strips using red mordant. I use some ribbon, bauble, and small silver stars to decorate it. When star was ready I started to work on electronics. I get 5 WS2812b led strips and Arduino Pro Mini. I connected all strips in parallel and connect 5V power source to led strips and Arduino. All data lines I connected to Arduino digital pin 2 and that's all folks. To program some effects I use Arduino Light Animation (ALA) library.